WBC heavyweight champion Deontay Wilder 40-0 (39) and his team have insisted that the $USD50 million offer they have made to Anthony Joshua 21-0 (20) for a unification fight is legit. Matchroom Sport’s Eddie Hearn, who promotes Joshua, has said he hopes the proposed deal is more than just a PR stunt. In a game of one-upmanship, Shelly Finkel, who co-manages Wilder, is threatening to cancel Friday’s scheduled meeting in New York if Joshua’s team doesn’t first agree to the deal in principal. He insists that they have security of the funds required to make the fight. The $USD50 million offer is believed to be twice Joshua’s largest purse to date, which he made by defeating New Zealand’s Joseph Parker to add the WBO title to his WBA, IBF and IBO crowns last month. The undefeated American power-puncher took to Instagram to speak directly to Joshua. “Bro, there’s been a lot of misinterpretation so I want a bit of better communication for this situation now,” Wilder said. “I offered you $50million. It’s in the bag and you replied ‘let’s do it’. So, for public record, for a better understanding, so we understand what you’re saying, I gotta go back to elementary with this. 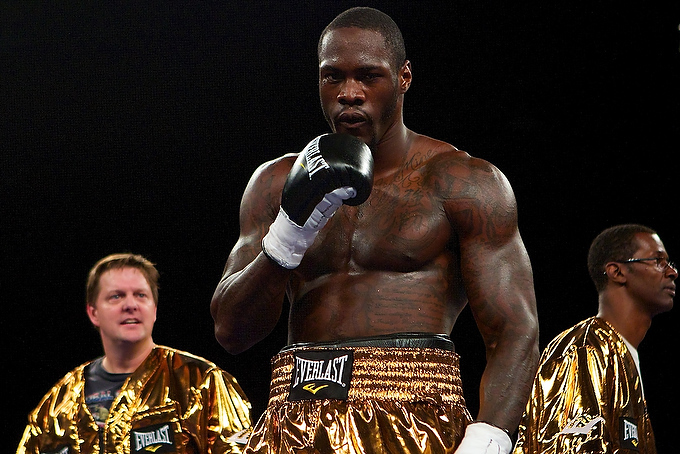 The terms on the $USD50 million deal call for the fight to take place at a venue determined by Wilder’s camp, the fight must happen between September and December this year, and there is no rematch clause. The offer comes in the wake of an offer from Team Joshua a few weeks ago that gave Wilder a flat fee of $USD12.5 million and no percentage of the profits, something that Wilder’s team felt was an insult considering the magnitude of the fight. With lineal champion Tyson Fury 25-0 (18) – who is about to embark on his comeback after two-and-a-half years on the sidelines in June – still a year away from performing at the top level, Joshua-Wilder is clearly the best fight that can be made at heavyweight right now.